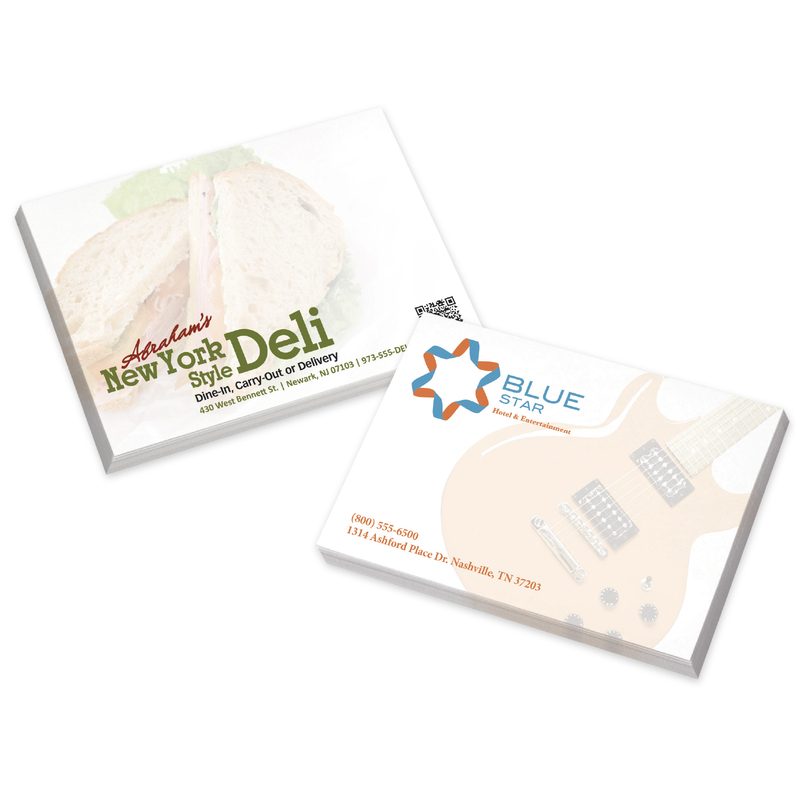 Your company logo and information imprinted in full color on this customizable BIC® 4″ x 3″ adhesive notepad with 25 sheets. This promotional adhesive notepad provides endless possibilities to spread your company’s message anywhere it sits on! This USA-made pad is always in stock. Colorful flood coats and ruled lines are free! Banks, realtors, insurance companies and creative businesses are great promotional fits for this piece. Attendees at your next trade show are sure to take notice! Order today! Choose files or drag it here to upload. After submitting your order, you will receive an Artwork Proof for review and approval. Production of your order begins after we receive your approval of the Artwork Proof.